This picture taken at the Burnt Cape Ecological Reserve in Newfoundland, Canada displays the unique designs that adorn the flower petals on the Beachhead Iris. The Burnt Cape Ecological Reserve in Newfoundland Labrador in Canada is a great location to visit where you can view and capture a picture or two of the Beachhead Iris while in full bloom. The flower displays petals that have intriguing lines or veins adorning them and the center of the flower has both female and male organs. 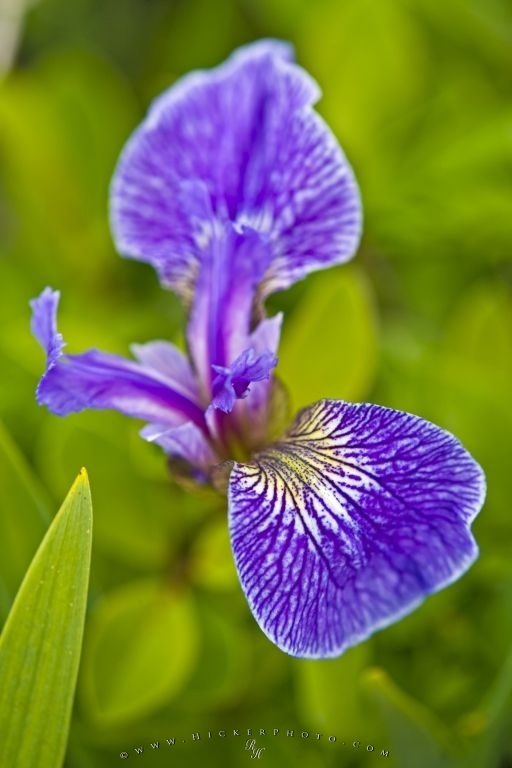 For growing purposes, the Beachhead Iris prefers light and loves to flourish in wet meadows, along the sides of rivers or out in the open forests. A flower that blooms around the month of June prominently displays three large bluish purple colored petals. The seeds are perfectly ripened in August and are then pollinated by the insects. at the Burnt Cape Ecological Reserve, Newfoundland. ... When in full bloom, the entire plant can spread over an area of about eighteen inches. While visiting the Great Northern Peninsula in Newfoundland, be sure to tour around the Burnt Cape Ecological Reserve and explore one of the most important botanical sites in Newfoundland. Over three hundred types of plant species thrive here and you will soon find that the Beachhead Iris is not the only type of flower that you are taking a picture of. Beachhead Iris, Iris setosa, at the Burnt Cape Ecological Reserve, Burnt Island, along Highway 437, Northern Peninsula, Great Northern Peninsula, Viking Trail, Trails to the Vikings, Newfoundland, Newfoundland Labrador, Canada. I photographed this photo with the digital SLR camera model Canon EOS-1Ds Mark II, aperture of f/5.0, exposure time of 1/250 sec. on ISO 100, as always I used a original Canon Lens, the focus lenght for this picture was 180mm.